Sapna Choudhary is a sizzling dancer who is famous her Ragini shows in North India. The Anarkali of Haryana dances so well that her fans go berserk with sensuous desi thumkas and latke-jhatkes. 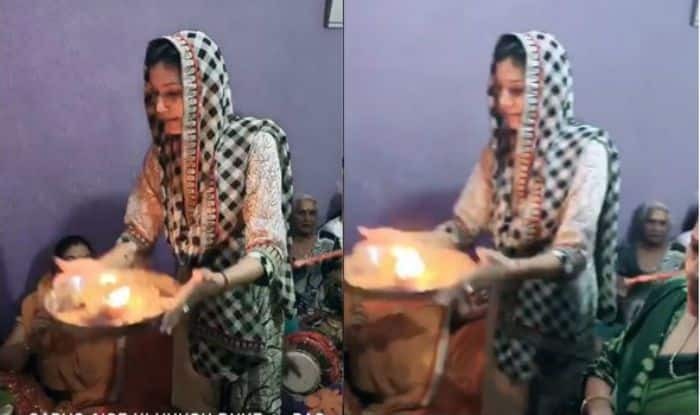 Recently, Sapna Choudhary took to Instagram to share a series of videos where her family gathered to perform puja and kirtan for Navratri. Sapna’s family can be seen dancing and enjoying the religious event. In Navratri, bhajan and kirtans are done to show their spirituality towards goddess Durga and to worship her for wealth, health and prosperity. Sapna Choudhary was looking stunning in the beautiful traditional white and black suit with a red border. She completed her look with a red tilak. The lady was all smiles as she posed for videos. Sapna rose to fame with popular track Teri Aakhya Ka Yo Kajal and later she entered the Salman Khan show ‘Bigg Boss’. She received a lot of fame after coming out of the show. Her fans wait for daily updates of the dancer and shows. 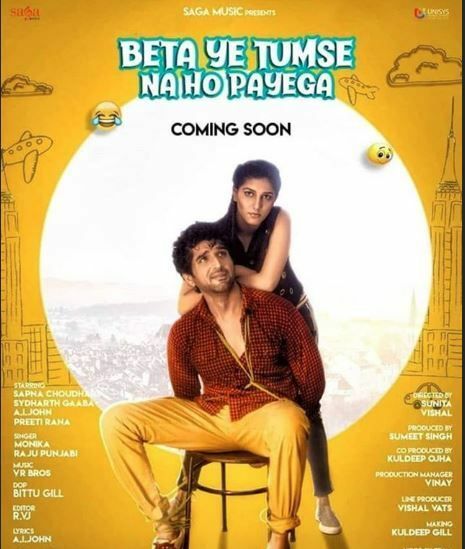 Her fan page recently took to Instagram to share the poster of ‘Tumse Nahi Ho Payega’ and the new look of Sapna Choudhary in the film. In the poster, Sapna can be seen posing in a black outfit and looks beautiful with the co-star Sydharth Gaaba. The comedy-drama will also star AI John and Preeti Rana. The film is directed by Sunita and Vishal, produced by Sumeet Singh. Sapna has given hits such as Tu Cheej Lajwaab, English Medium, Yaar Tera Chetak Pe Chale, Teri Lat Lag Ja Gi, Ghungaat, Theke Aali, Tere Thumke and Teri Aankhya Ka Yo Kajal. She also featured in Bollywood songs like Tere Thumke Sapna Choudhary from Nanu Ki Jaanu and Hatt Ja Tau in Pulkit Samrat starrer Veerey Ki Wedding.